Basford make the long journey to Workington on Saturday, closer to home Community play Bestwood MW at Greenwich Avenue (both 3pm). The First Team will be looking to extend their winning run to four games in all competitions. “It was an excellent win and performance on Monday against a good Witton side. I was a little worried about lack of game time going into the game, but we prepared really well and that extra energy in the latter stages paid dividends. 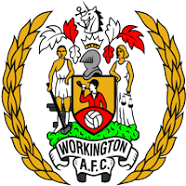 “We have had Workington watched and we know they are a very organised team. They are in a good run of form themselves after wins against both Grantham and North Ferriby. “We know it’s a tough journey but I won’t allow any leeway for a below par performance on travel!!! “I want us to keep this run going and get the momentum and winning mentality back. We want to win as many games as possible between now and the end of the season and see where it takes us. “There will be teams that drop points and lose momentum and we want to give it a go right up to the last game. We always knew the form would turn around and we tried to keep the players as relaxed as possible and back to passing the ball well. “That’s our philosophy and even away from home we have to find a way to put football teams even on poor surfaces. That’s the challenge moving forwards and we have the quality to do this. “The lads have remained upbeat and positive and it’s only people from outside the club who doubted us during a difficult period. We know how we want to play and we are a good side and this experience will make everyone better in the coming seasons. The sides met at Greenwich Avenue in September, Basford coming from two goals down to win 3-2. Conor Tinnion and Matt Douglas put Workington into a two goal lead within the first half hour, Liam Hearn pulling one back before half time. Second half goals from Kole Lambert and Deon Meikle turned the game around in front of a crowd of 211. The bus leaves Greenwich Avenue at 8am, fare £5 return. Seats are still available and can be booked by emailing info@basfordunitedfc.co.uk. Admission: Adults £11, Concessions £7, Aged 12-17 inc. £3, Under 12s: £1 (accompanied by an adult). At Greenwich Avenue Basford Community take on Bestwood MW in Notts Senior League Division One. Bestwood are seven points and three places behind Community. When the sides met earlier in the season at Bestwood, Community came from two goals down at half time to win 3-2. Two goals from Duane Haywood gave Bestwood an interval lead but Community struck back through Dominic Baker, Ben Johnson and Jamie Marks.  Deeney shines as Basford win at Workington Basford United produced an impressive and well disciplined performance to win 3-0 away at Workington and stretch their winning run to four games. Basford Under 19s through to semi-finals  Congratulations to Basford Academy Under 19s who reached the semi final of the National U19 League Cup after a 4-3 win on penalties over York City.